If you’re focusing on creating an effective search engine optimization (SEO) campaign, you probably already know that the most important first step is to get your website squared away. Maybe you feel comfortable doing web development on your own, but most business owners prefer to let a professional web design service look over everything. Getting rid of broken links, disavowing links, eliminating 404 pages, and optimizing for mobile web — it’s all essential. But web design and development is just the first step. Before you can really get started with a search engine optimization campaign, you need to focus on something called keyword research. Keyword research is a process where you narrow down certain keywords or key phrases that pertain to your business. These words or phrases are what people type into search engines, like Google or Bing, when they’re searching for a product or service that your business could provide. Once you know which keywords to focus on, you’ll be able to create content using those keywords. The ideal outcome is that your website will begin to rank better on search queries for those terms! You probably don’t want to put all your effort into the keywords that get the most search volume. Competition for high-volume keywords is tough, and your business might not rank well no matter how much money you spend. You also don’t want to focus on the keywords that get too little traffic. Even though your website could rank well on these search queries, you probably won’t get a whole lot of traffic for the money you’re investing. You’ll want to see which keywords your competitors seem to be focusing on, and you should also pay attention to keywords that are geo-targeted (unless all of your business comes from online sales rather than local sales). Location-based keywords are good to use if you want to focus on SEO for mobile users or local SEO. After all, half of all mobile phone searches are for local results, and 60% of these searches result in sales. Shorter keywords tend to have the highest search volumes, although oddly enough, this seems to be changing. Longer phrases (called “long-tail keywords” in the SEO industry) tend to produce great results for small businesses; what’s even better is that more people are using these long-tail keywords in searches more than ever before. There are a few free keyword planning tools available online, as well as paid tools. 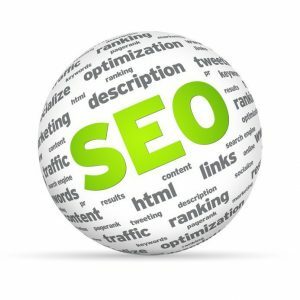 But the best way to ensure that your business is using the best keywords possible is to talk with a search engine optimization expert! With over 12 billion unique search queries conducted in the U.S. every single month, it’s important to make sure that your business stands out!